Note: Gone Green will not accept pallets if they are moldy, water damaged or are contaminated by any kind of biohazard. Plastic pallets are highly recyclable and should be recycled with other hard plastic items. Some companies, like CHEP, will recycle wood pallets, so they don’t end up in a landfill. Smart Way Recycling takes both wooden and plastic pallets. The possibilities to repurpose your pallets are endless. Check out Pinterest for ideas and how-tos. Plastic pallets are more eco-friendly than ones made from wood. Plastic pallets last much longer and are easily recycled, while wooden pallets need to be sent to the landfill if a specific recycler won’t take them. 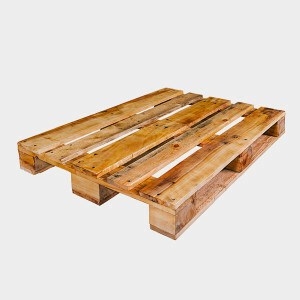 Wood pallets are also susceptible to chemical and bacterial contamination.